Desperate niche is the best place to start if you want to be able to make money quickly promoting Clickbank products. Fortunately, there are probably hundreds of quality products on Clickbank that are created specifically for a desperate niche. People who feel desperate with their problem will feel inclined to buy information product from Clickbank. For instance, people with desperate overweight problem will try to find an alternative solution to solve their problem since many products have failed them. This includes products that are being promoted incessantly on TV or other media. In this case, Clickbank products might be the best solution for them. Since there are hundreds of products to choose on Clickbank, it is best for you to choose the best product that can solve the problem of your audience. There are many popular Clickbank products that will give you strong competition when you promote them. But, there are many good products that are not being promoted aggressively by affiliates. You should strive to find these products for your promotion. It will help your audience to solve their problem in the most effective way without the need for you to compete fiercely with other affiliates. Once you’ve chosen the product that will become the best solution for your audience, the next step is to create a landing page website. Please note that most new affiliates are doing affiliate marketing halfheartedly. They are using free website to do their promotion. This is not an effective marketing strategy. Even though you’re still a newbie, you should be willing to invest on your own website. You need to create a landing page website in order to entice your audience to follow your recommendation. Prepare a landing page copy that gives them hope to solve their problem. This copy is to be placed in the homepage of your website. Don’t just create one page for your website. In fact, you should fill your website with informative content that will educate your audience about how to solve their problem effectively. So, the next thing that you need to do is to write at least 10 pages of content that contain tips and information related to their problem and how to solve it. You can even write a review about your affiliate product if you want to. But, this is optional, since you already have a solid landing page copy on your homepage. Promoting your website can be done in a variety of ways. There are free as well as paid promotion methods that you can try. The free promotion methods will give you a greater advantage and long-term traffic, but they will cost you some time to do. The paid promotion methods will give you quick traffic, but you have to pay for it. The choice is yours. It is also important to keep updating your website with content to attract organic traffic to your website. If you follow the tips above, you’ll surely be able to earn your first $500 from Clickbank. Please note that this is not an instant process. You have to be patient and determined in doing this. Don’t be quickly discouraged if the result you get is not according to your expectation. It needs your constant effort to succeed. Above all, good luck with your effort. Bren is a tech blogger with a great interest in SEO and IM Technologies. 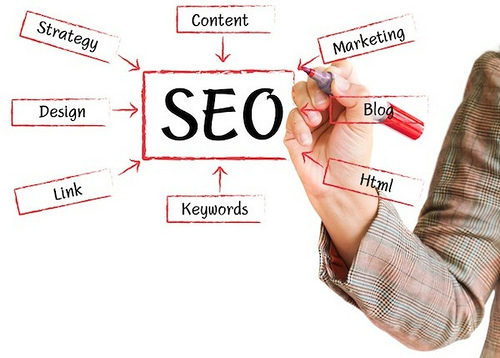 He occasionally contributes an informative resource to Assisted Reputation, an SEO Company in London with experienced SEO Experts.